Showing you the 20% of book marketing efforts that bring 80% of results. If you prefer, you can get it on Amazon in ebook, paperback or audiobook format here. A great book to teach you, or remind you, of some of the most important ideas that form the foundation of business and life success. This book is a must read for anyone who is or wants to be a true leader. It’s new fresh and the stories are supreme. 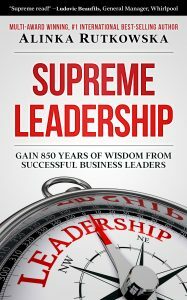 Supreme Leadership will change you and the people you surround yourself if you read it and use the very practical examples. This book will show you how to go from great to supreme. This is the definitive leadership playbook. Follow the advice inside here and you’ll learn what it takes be a leader worth following. Nothing beats experience, especially in leadership. If you want direct knowledge from leaders who have faced what you will, Alinka Rutkowska brings you unfiltered, honest accounts directly from leaders who have been there. 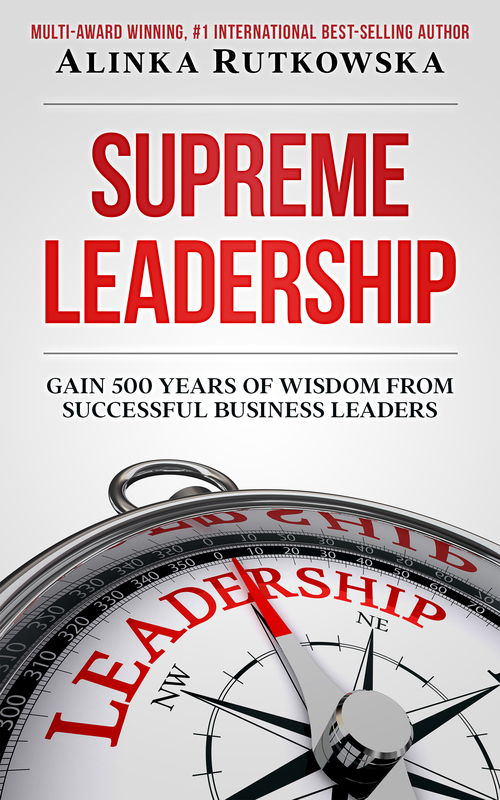 This book has captured some of the most high-impact leadership best practices out there. Don’t miss these great insights from 25 CEO’s and prepare to be surprised … and inspired! Rutkowska’s approach of interviewing CEOs and reporting what they have said enables the reader to hear the very words of these leaders without any filtering. Readers can determine for themselves what has enabled success at these companies and how they might apply this in their own situations. With 30 leaders being interviewed, most entrepreneurs will find one or several that are directly applicable to themselves. I am sure the book will be met with great success and will be a “must have” read for anyone in business.